An outstanding faculty of experienced practitioners will provide a full day of practical insights to avoid mistakes in tort law, litigation, and personal injury trial practice. This program has the advantage of rapid fire, cut to the chase, guidance for identification and circumvention of stumbling blocks that arise in your injury practice. Among the many topics covered, this seminar features presentations on recognizing the difficult issues presented by bankruptcy and workers’ comp claims, maneuvering around defense tactics, finding overlooked sources of liability coverage, dodging potential problems before disbursement, dealing with government entities, and much more. In addition, you’ll hear from a panel of state judges on the traps that catch the unwary in the courtroom. Protect your client with the knowledge you’ll gain after attending this program! Registration opens at 8:30, the program begins at 9 a.m. and adjourns at 5 p.m. Your registration fee includes lunch and cocktail reception immediately following adjournment. 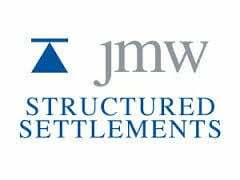 Lunch kindly sponsored by JMW Settlements. Reception generously sponsored by Cooper Hurley Injury Lawyers and Kalfus and Nachman. Parking is available in the hotel's parking deck, located on 6th Street, for $5/day; valet parking is available for $20/day or $12 for overnight guests. CLE Certificate and Materials: Seminar materials, along with the CLE Certificate of Attendance, will be emailed to you 1-2 days prior to the seminar so that you may print any materials you may wish to have with you. Attending in person? We will also give you the materials on CD at the seminar. If you would like to access these materials while at the seminar, please bring your laptop. The emailed links will be active throughout the day for you to access materials that way as well. Please plan to arrive at least 15 minutes early and come to the VTLA registration table to check in. Live Streaming? In addition to the seminar materials, we will also email you everything you need to know about logging in to the live broadcast. WE HOPE YOU WON'T, but if you must cancel, the VTLA cancellation policy applies to all paid meeting events, including any scheduled social events. All cancellations or changes must be in writing.